Washington Express Visas provides expedited Venezuela visa services to the Venezuela Embassy. Washington Express Visas offers same day pick-up and prompt, reliable Venezuela visa services. When others tell you it will take weeks to get your visa, call us and we can do it in mere days. We will walk you through the process step-by-step and immediately notify you if any problems or delays occur. Your documents can either be picked up and returned directly to your office, or you can send them to us via FedEx, UPS, etc. to our Processing Office. Washington Express Visas is an experienced visa & document processing provider. We can help you complete your application timely and accurately in order to avoid delays. We can also file & process your application for you for a fee. However, you can also fill out and submit your application for free (excluding embassy fees), by visiting the Venezuela Embassy website. Please note that we have no affiliation with any government embassy or agency. *As of July 2015, all applicants applying for a Venezuela Tourist Visa must submit the below requirements to the embassy in person. Washington Express Visas can not assist with Tourist Visas at this time. Venezuela Visa Application Forms – Please provide 2 (two) completed visa application form; click here for a .pdf of the application. Because the applications change on occasion, we’ve also provided a link to the Venezuelan Embassy website so you may get the most recent version directly from the Embassy website. The application forms must be filled out completely and have answers for all fields. It must display your full name as appears in your passport, and it must be signed. Demonstrate intention of non-emigration to a consular official. Proof of economic conditions or other interests that suggest the requester intends to return to her or his home country. Documentation of any buildings, business or industries owned. Documentation of any family members residing in Venezuela. 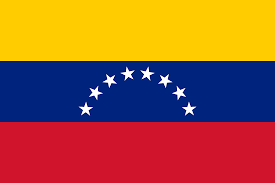 The Venezuela Embassy will issue business visas to non-migrant business people, executives, representatives of businesses or industries and microentrepreneurs who wish to enter the country to conduct trade, commercial or financial activities and/or transactions, or any other legal for-profit activity related to their business. It is recommended that applicants request their visa no less than 3 months before their expected travel date. A certificate of incorporation of the business in the U.S.
A letter of employment from the business in the U.S., which state the position of the applicant, purpose of the trip, the name and address of a contact person or company in Venezuela, the length of stay in the country and whom is responsible for expenses incurred during the stay. A letter of invitation from a business in Venezuela (if applicable). Copy of flight itinerary indicating the date of entry to and exit from Venezuela, the name of the airlines and the flight number. If the applicant is the business owner or holds a majority of its shares, proof of this must be included. If the applicant is not a U.S. citizen, she or he should present a copy of green card or document that establishes residency in the country.